My daughter Theresa spoke at length about the animals that she “got to know” and cared for several times throughout the school year . . . no other camp from last summer had that sort of influence & "staying power” with her. Skanda is addressing & meeting a very special need in people that most people do not even realize they have. Registration is open for August 2019! Fill out the form below to reserve a spot. 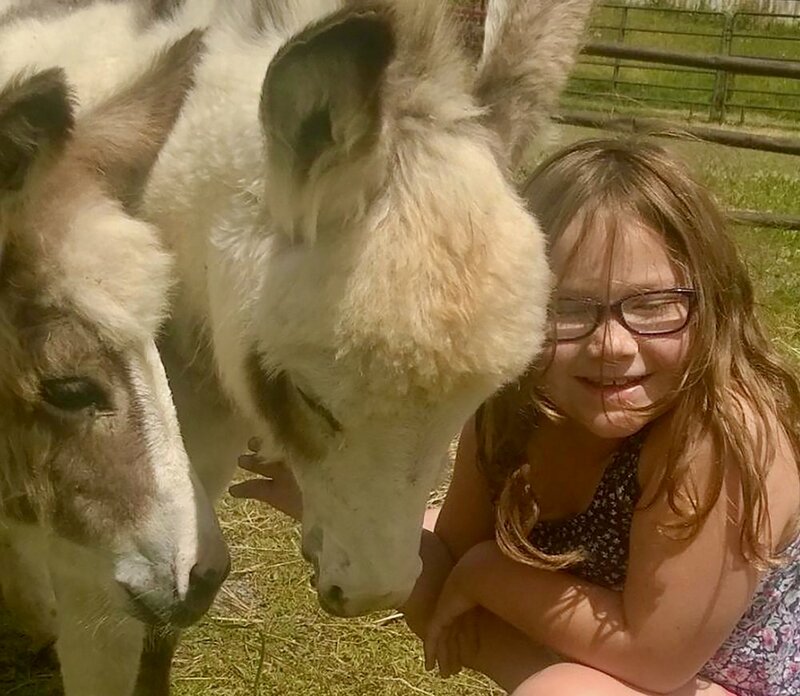 Summer at Skanda teaches children to become compassionate, responsible caretakers to the animals and to nature, while also building self-confidence and leadership skills. Daily activities include feeding and grooming the animals, organic gardening, nature walks, art projects, recreational games, and plenty of bonding time with the animals. One-week session: August 26-30, 2019. Children attend for one week, 9:30am-3:30pm. Cost: $290. (Early drop off and late pickup is available for an additional fee.) Space is limited, so early registration is recommended. Subsidized program for low-income families: This year, thanks to support from the Madison County Youth Bureau, we will be offering two separate four-week sessions of Summer at Skanda at low or no cost to participating families. Thank you to Cazenovia College Dining Services for providing daily lunch for the kids. To apply for this program, contact Ellen Beckerman at ellen@thehavenatskanda.org or 315-815-5056. View brochure here. View photos here. To register your child for August 26-30, 2019, please fill out the form below. Space is extremely limited, and payment is due at the time of registration. You will receive an email with payment instructions. Thank you for applying to Summer at Skanda. We have received your application. Please send a check for $275, made out to The Haven at Skanda, to us at 4000 Mosley Road, Cazenovia, NY 13035 to secure your spot.